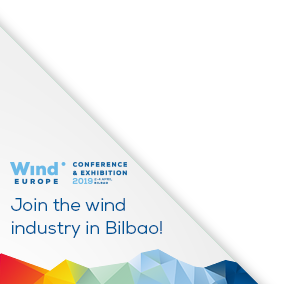 WindEurope is the voice of the industry with over 400 members headquartered in more than 35 countries, making it the world’s largest and most powerful wind energy network. If you are already a WindEurope Member, log in to the full Members Directory to see contact details, addresses and more! Electrical Systems / Connections - install. For over 80 years, Vaisala's technology has guided decision-making in weather-critical industries. As the fuel for wind and solar projects, weather plays a critical role in the renewable energy industry and Vaisala helps customers understand its impact on their bottom line. Through the acquisitions of 3TIER and Second Wind, Vaisala brings together the industry's foremost experts on advanced measurement, assessment, and forecasting to support renewable energy developers and operators around the world. Van Oord is a Dutch family-owned company with 150 years of experience as an international marine contractor. The focus is on dredging, oil & gas infrastructure and offshore wind. In 2017, Van Oord recorded a turnover of more than EUR 1.5 billion. Its head office is in Rotterdam. Van Oord employs approximately 4,500 staff, who worked in 2017 on 180 projects in 42 countries. The fleet consists of more than one hundred vessels. Marine ingenuity is characteristic of Van Oord. By using innovative, smart and sustainable solutions, it wishes to contribute to a better world for future generations. In 2018, the company is celebrating its 150th anniversary. Van Oord Offshore Wind is a leading party in the international market of EPCI of offshore wind farms. Vattenfall is one of Europe’s largest generators of electricity and the largest producer of heat. The parent company Vattenfall AB is 100 per cent owned by the Swedish state. Vattenfall is a key player in offshore wind and plans building and operating wind farms in five countries in Europe. VDL Klima BV is a heat exchanger specialist offering thermal design and manufacture of many types of heat exchangers. We have extensive know-how and capabilities for designing heat exchangers for special applications such as wind energy. With over 100 years of experience we manufacture in modern and highly automated factories. VDMA Power Systems is a sector group of the German Engineering Federation VDMA and represents the interests of domestic and foreign manufacturers of systems for energy conversion. These include wind turbines thermal turbines and power plants hydroelectric stations and engines for power and heat generation. Verbrugge Terminals is a leading logistics service provider offering three large deep sea project cargo terminals in the ports of Vlissingen (Flushing) and Zeebrugge. Verbrugge has gained extensive experience in handling large scale offshore projects employing highly motivated and qualified operators. Wind power from Vestas' more than 58000 wind turbines currently reduces carbon emissions by over 60 million tons of CO2 every year while at the same time building energy security and independence. Vestas has delivered wind energy in over 70 countries providing jobs for 21907 people. Trusted provider of Wind Turbine Erection Services including cranes and Maintenance Services for Onshore Wind Projects. Track record of over 240 WTG’s and 715 MW installed in 8 countries. Committed, professional teams with broad experience across different turbine models. Vryhof is a trusted partner to many of the offshore industry’s leading companies, delivering innovative and customer-focused anchoring and mooring solutions. We are committed to the highest standards of safety and integrity and are proud of our legacy and impeccable track record, delivering value in everything we do. Our 50-year history of setting standards and leading the way in the offshore sector makes us unique in terms of our expertise and breadth of services. In recent years, Vryhof and its installation partners have taken full scope permanent mooring projects for offshore oil & gas and renewables applications by offering innovative and cost effective solutions including design, procurement, installation, life extension and decommissioning. Deep Sea Mooring is the trusted choice for E&P (exploration and production) companies and drilling operators that demand the best in safe, innovative and optimum quality mooring solutions. We understand the needs of customers looking for complete peace of mind when operating in the harshest of natural environments. Our aim is to meet individual customer demand and outperform expectations right around the world. With this in mind, we offer a comprehensive portfolio of services, including advanced risk assessment studies, marine engineering, the rental of cutting-edge mooring equipment, chain inspection services, complete pre-lay and rig move solutions, and a broad range of ancillary services. Floating offshore ◆ Cables and Accessories ◆ Foundations - manuf. ◆ Construction ◆ Foundations - install. VTT Technical Research Centre of Finland Ltd.
VTT is an R&D organisation for public and contract research. Our wind activities include among other things: cold climate technology development and resource assessment for onshore and offshore wind turbines wind integration studies production forecasting power performance measurements and validation of a.o. instrumentation in icing wind tunnel. VWEA is the national Association for wind energy companies active in Flanders and includes developers, OEM and supply chain companies.